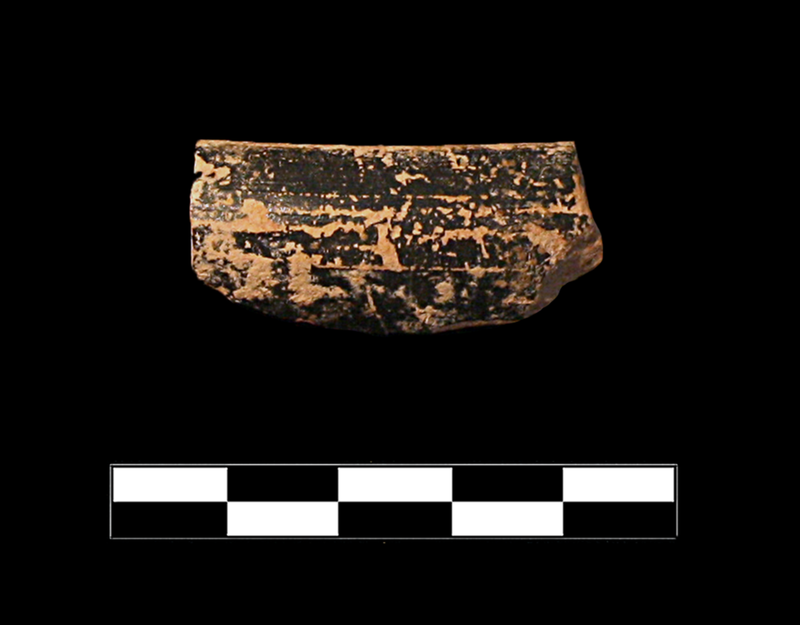 Corinthian echinus bowl. Profile consists of flaring, convex wall rising to sharply inturned rim with simple lip. Black glaze overall save for reserved band on lip. Late Classical-Early Hellenistic. Fine, hard clay with very few tiny voids and inclusions. Fleeting, semi-lustrous black glaze. 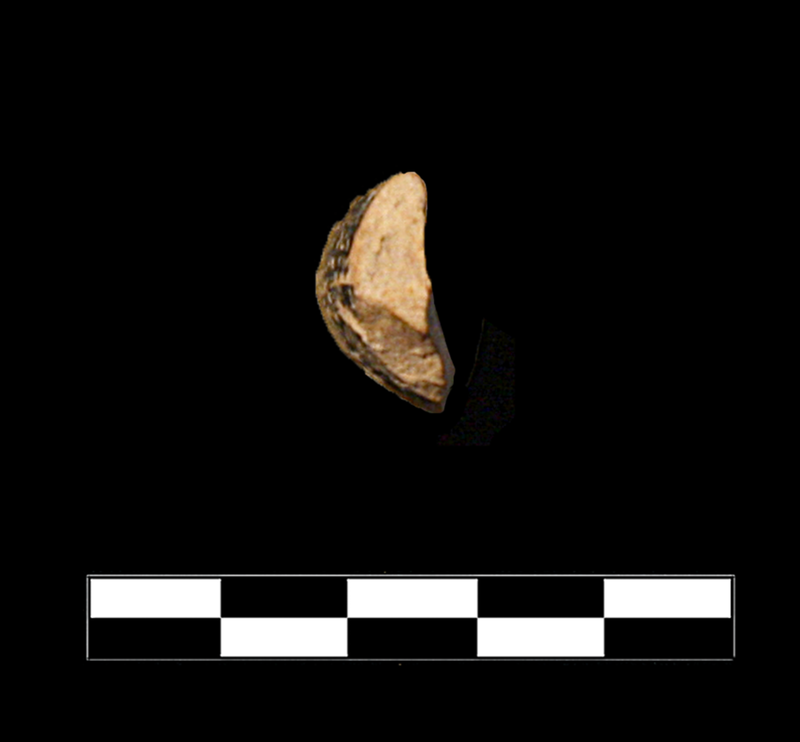 One fragment preserves roughly 5% of rim and upper body. Moderate, extensive abrasion, chipping, and scratching; traces of encrustation.